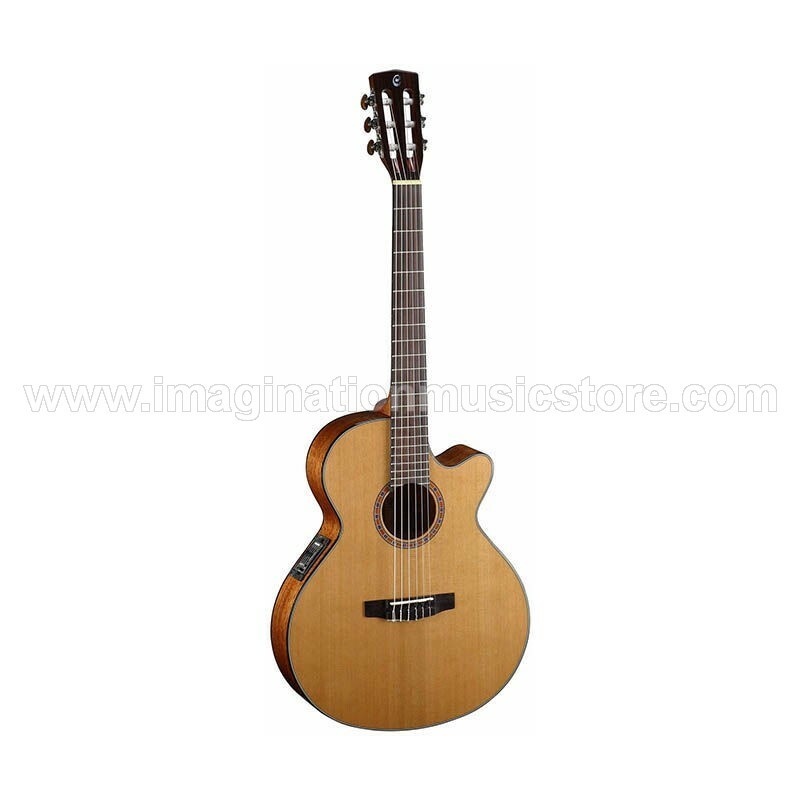 The Classic Series features two distinctive types of models: the traditional Spanish-style nylon-string AC models and hybrid nylon-string CEC models that borrow from steel-string cutaway acoustic-electrics with cutaways, narrower nut width. The traditional style AC models have been re-engineered to improve resonance for an authentic classical guitar sound while the CEC models feature slim body with cutaway, 45mm nut width and electronics for steel-string players who love the nylon-string sound. Spruce provides an ideal balance between strength and flexibility, hence its overwhelming popularity as the wood of choice for tops of acoustic guitars. Spruces versatile sonic character makes it ideal for a variety of musical genres and playing styles.